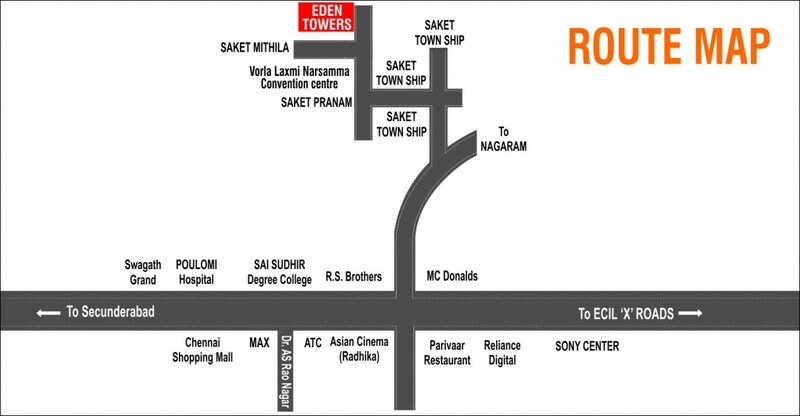 Our prestigious project Eden Towers is a super deluxe 2BHK Apartment Complex. It is Located in Saket Township which is close to AS Rao Nagar and ECIL. The project is designed as per Vaastu and is surrounded by Villas and Gated Communities.